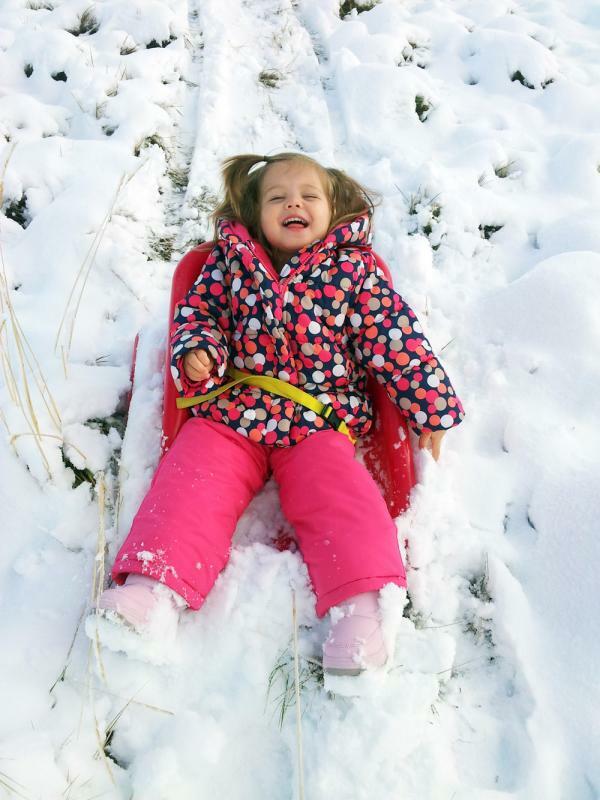 Would you believe me if I told you it snowed inches upon inches last night in Denver and that Babycakes and I went sledding this morning?! Some of you probably woke up to nice 80 degree weather. Us, not so much. But, it was the first ever workday snow that I didn't have to commute in, and let me tell you...it was soooooooooo nice to be able to stay in, look at the pretty snow, enjoy some warm maple oatmeal, and think about sledding once the sun warmed things up a bit! I pulled Babyckes around the field by our house. She had a blast, and I blasted some calories!!! Then we came in for some leftover sweet potato fettuccini, and we whipped up some new kale chips. Incredibly high in magnesium, calcium, and vitamins A, C, & K, these chips deliver a heavy nutritional punch. Here they are prepped and ready for the oven, the honey glistening off each leaf. 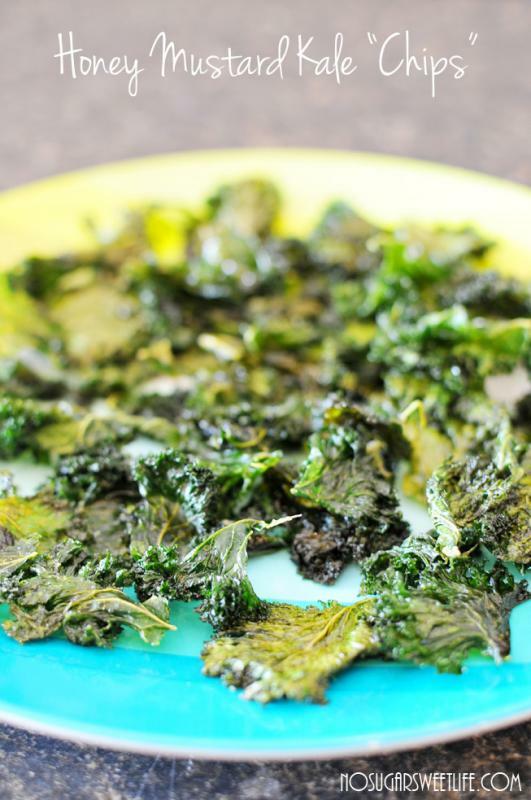 They're light, sweet, crunchy, and soooooooooo good for you! 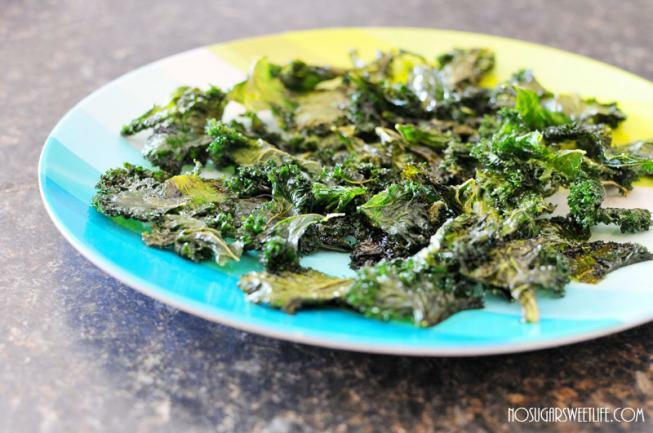 Or try my Garlic Kale Chips if you're not in the mood for sweet! De-stem the kale, and break into small 2" chunks. 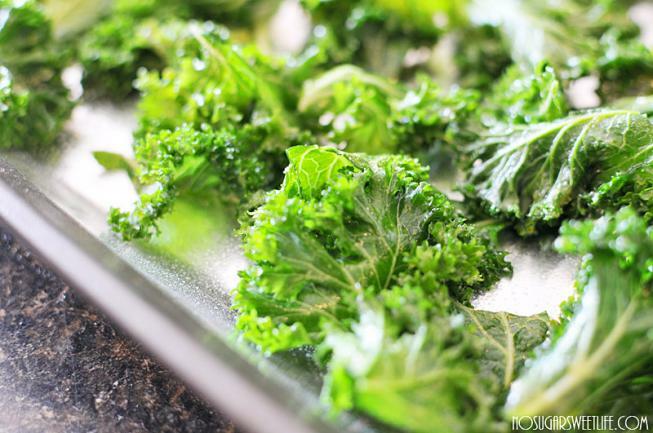 Toss the kale chunks in the honey and olive oil. Sprinkle the mustard and garlic powder on top. Lay out flat on a baking sheet. Bake for 50 minutes, flipping pieces halfway through.